Today’s FrontRunner system operates around the clock hauling copper, iron and oil sands, at seven sites, across three continents. Since its first commercial deployment in 2008 at CODELCO's Gabriela Mistral (Gaby) copper mine in Chile, the FrontRunner AHS has experienced exponential growth in cumulative production, breaking the one billion tons mark in 2016 and the 1.5 billion tons mark in late 2017. This has been accomplished with more than 130 trucks in operation to date. An additional 150 trucks will deploy to the Canadian oil sands over the next seven years. Working closely with customers, the system's ten-year zero-harm and productivity record and unmatched ability to accommodate an array of mining environments has enabled Komatsu to accelerate the pace of AHS deployment. Today's FrontRunner system operates around the clock hauling copper, iron and oil sands, at seven sites, across three continents. 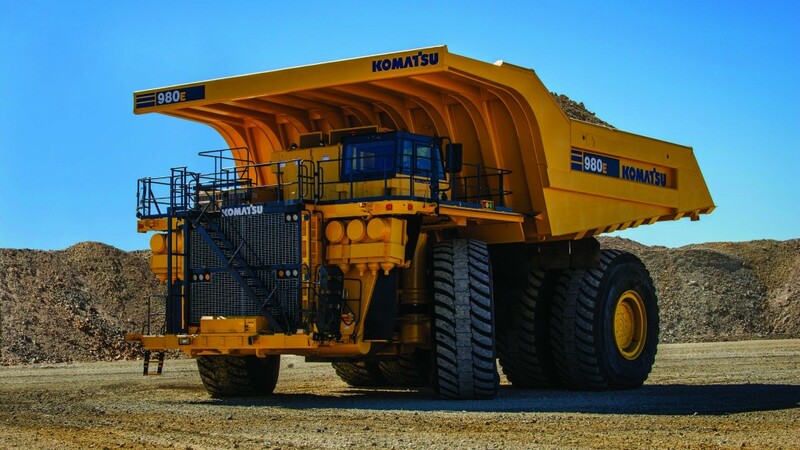 "The ongoing investment in technology and equipment by major mining companies in Chile, Australia and Canada underscores their belief in the value of autonomous haulage," said Anthony Cook, Vice President Autonomous and Communications Solutions at Modular Mining Systems, a subsidiary of Komatsu. To underscore the company’s commitment to progress, Komatsu plans to enhance the AHS’ mixed-operation functions, enabling manned trucks of any make to interoperate with Komatsu AHS trucks in a blended operation. Komatsu's approach for FrontRunner AHS brings together the world's best-selling ultra-class dump trucks with Modular Mining Systems' DISPATCH Fleet Management System, the preferred management system in nine of the 10 largest mining operations in the world. The system enables 100% compliance to its proven optimization methodology, delivering unrivalled performance. "AHS continues to play an increasingly crucial role in effective mine management as more and more operations transition from manned to unmanned fleets," said Dan Funcannon, VP/GM, Large Mining Truck Division, Komatsu America. "As the demand for autonomous systems grows, Komatsu will continue raising the bar in an effort to help mines provide safer working environments, maximize production, and reduce operating costs." Just prior to achieving the autonomous haulage milestone, Komatsu hosted a well-received, Autonomous Haulage Demonstration Day last month in Tucson, Arizona, showcasing the company's autonomous haulage and assisted operations solutions. Close to 100 mining professionals, industry journalists, and students from the University of Arizona's mining engineering program met at Komatsu's Arizona Proving Grounds (AZPG) for a series of presentations, tours, and demonstrations, all supporting the event theme: Automating Progress. To underscore the company's commitment to progress, Komatsu plans to enhance the AHS' mixed-operation functions, enabling manned trucks of any make to interoperate with Komatsu AHS trucks in a blended operation. Komatsu is also working with industry stakeholders towards standardization of interoperability between Komatsu and non-Komatsu autonomous vehicles, to improve safety and efficiency at customer operations.